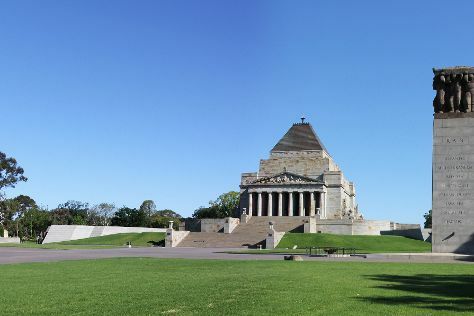 Satisfy your inner culture vulture at Shrine of Remembrance and National Gallery of Victoria. Deepen your sense of the past at sights like Old Melbourne Gaol and St Paul's Cathedral. Venture out of the city with trips to Cowes (Koala Conservation Centre & Phillip Island Wildlife Park). Spend the 12th (Fri) wandering through the wild on a nature and wildlife tour. And it doesn't end there: examine the collection at Melbourne Museum, look for all kinds of wild species at Warrandyte State Park, take in panoramic vistas at Eureka Skydeck 88, and admire the natural beauty at Royal Botanic Gardens. For where to stay, more things to do, reviews, and tourist information, read our Melbourne tour planning tool . If you are flying in from Saudi Arabia, the closest major airport is Melbourne International Airport. April in Melbourne sees daily highs of 23°C and lows of 11°C at night. Finish up your sightseeing early on the 19th (Fri) so you can travel back home.